You have just experienced one of our game rooms and had a blast, but realize that the exercice left you starving... The good news is, Asakusa hosts some amaizing Japanese restaurants. A Sukiyaki and Shabu-shabu restaurant (dishes similar to a hotpot), Imahan is more than a century old. Its fresh ingredients guarantee a delicious meal with meat that will melt in your mouth. It is a little pricey, but definitely worth it! Also, it's just across the street from Escape Hunt Tokyo ;). Asakusa is famous for its Okonomiyaki and Monja restaurants, and Sometaro Okonomiyaki is among the best ones. Customers will have the opportunity of cooking their own "Japanese pancakes" and enjoy them the traditional way: on cushions, around a hot plate at the centre of a low table. 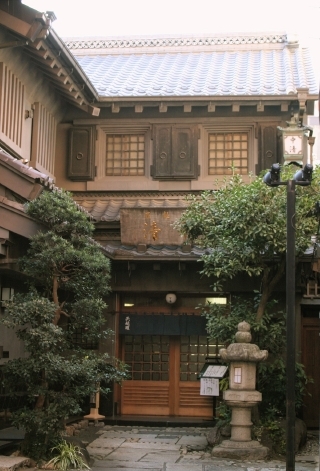 Located next to the Sensoji temple, this tempura restaurant was established in 1870. Although it features a traditional garden with carps swimming in a pond, it is most renowned for its fabulous kakiage-don and its hospitality. If you have the chance to try one of them, let us know what you thought!